PBY Catalina, A-26 Invaders, P-51 Mustangs: CIA Rebel Air Force attacking Indonesia, 1958. In this DAKOTA HUNTER Blog, you will find the story of an almost forgotten episode in the long and fascinating history of the Civil Air Transport Corp (CAT), in 1959 converted to AIR AMERICA. A misleading name that might give you the impression that this CAT Corp. was a decent airline operator, where you could book a flight for yourself or for cargo hauling. That was correct at the front door operation of the company, but there was also a dark side, where you would be very unwelcome for any reservation. Allegedly, CAT was the covert air support operations agency of the CIA and hence involved in all of the more or less stealthy revolts , guerilla’s support, uproars, and other activities directed against the advancing communist influence in SE Asia in the 1940’s-1950’s. The CAT Corp. soon had a certain reputation: where their aircraft arrived in ‘sterile’ markings, things went awry, turmoil and insurgent uprising were imminent! CAT was created in 1946 by the legendary Claire Chennault and used mainly WWII surplus aircraft such as the Douglas C-47/ Dakota and the Curtiss C-46 Commando for supplying foods and medicaments into war-ravaged China. CAT soon turned into a support/ supply machine for Chiang Kai-Shek who fought a civil war against the Communists under Mao Zedong right after WWII. Aircraft crews were selected primarily from the AVG (American Volunteer Group) veterans of Chennault’s WWII combat group, aka The Flying Tigers. Photo above: Sorry , not a High-Quality photo, but a very rare one, with CIA pilot Allen Pope in front of a B-25 Mitchell Bomber/ Attack Plane. He is standing here with the Indonesian Colonels who had started the revolt against President Sukarno with a combined uprising on Sumatra and Sulawesi. By 1950, CAT followed the withdrawal of Chiang’s forces to Taiwan. As that meant the end of business for CAT, the CIA stepped in by creating a subsidiary under the same name, but with a distinctly different mission. CAT maintained a civilian appearance by flying scheduled passenger flights ( and still is in operation under that name) while simultaneously using other aircraft in its fleet to fly covert missions. From the early 1950’s. CAT pilots were involved in covert missions in North Korea, China, and Indo-China. They flew the C-47 and Curtiss Commando C-46 as the mainstay of their fleet , but also C-119s Flying Boxcars during the siege of Dien Bien Phu, Vietnam in May 1954. That epic battle was lost by the French, heralding the end of French Colonial Rule in SE Asia and that would lead eventually to the intervention of the US Military in the Vietnam War that lasted from 1960-1975. 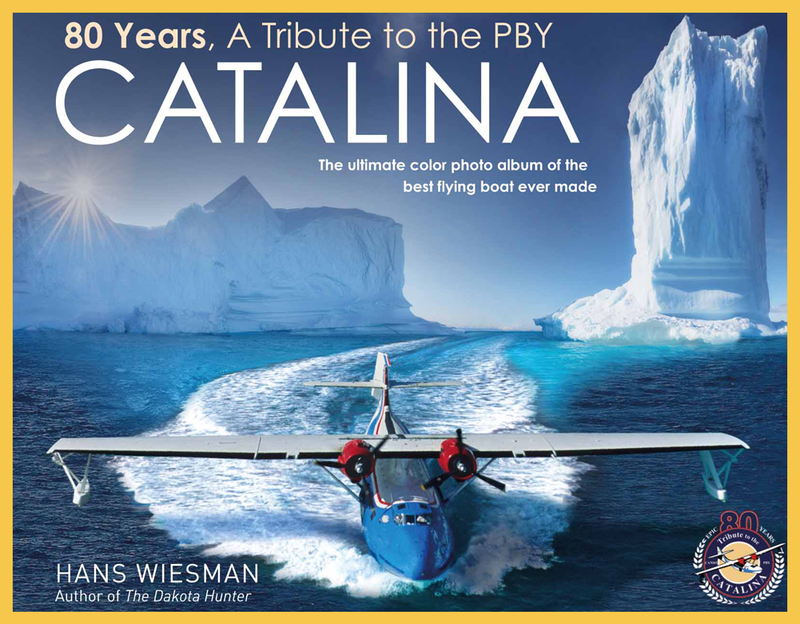 Photo above depicts the PBY-5A Catalina, owned by Civil Air Transport (CAT). It flew for the PERMESTA rebels against Sukarno on Sulawesi, Indonesia, as part of the AUREV (Revolutionary Air Force). On May 13, 1958, this Catalina was destroyed by AURI B-25s and P-51s as they finally made an air raid that started from Halmahera Island to the Rebel AF Base Mapanget near Manado. This photo was most probably taken on Clark AF Base Philippines, note the aircraft in the background, another PBY-5A Catalina at left, a Curtiss Commando C-46 right behind the black Cat and a Douglas C-47 at right. Photo above: The 1956-1957 edition of Jane’s All The World’s Aircraft lists the CAT fleet: 2 Douglas DC-4, 22 Curtiss Commando C-46, 2 Douglas DC-3, 3 Douglas C-47, and 2 Convair Catalinas. But soon there would arrive another hefty fleet extension, in the shape of 15 Douglas A-26 Invaders, heavily armed with the legendary Killer Nose with 8 machine guns, bombs, external fuel tanks and underwing racks. Not much to do with scheduled passenger flights, so they probably never appeared on Jane’s list under the CAT name. All of these aircraft had a stealthy mission to fly against the Indonesian State. In 1958, the CIA under President Eisenhower had its own way of dealing with the Communist Threat that had taken China, the northern part of Korea and Vietnam. On top, Commies were involved in guerrilla wars in Malaysia and Laos and slowly penetrated deeper into the Indonesian Government via a growing political power of the Communist Party. Indonesian President Sukarno let it all happen or could no longer handle the situation. The US presumed the approaching fall of the huge SW Pacific Archipelago into the hands of the Chinese Geo-Political sphere with a Communist regime in Jakarta. That must have been a horror scenario for the US Government. In their vision, the Free World’s existence was at stake in SE Asia and all means to stop that fateful development were allowed. Toppling President Sukarno became the CIA’s covert mission. It simply meant that the US were maybe not initiating but surely staging and financing counter actions in cooperation with insurgent populations, even against a friendly nation. In Indonesia with hundreds of Islands, a mixed population of almost 80 million people with a dozen of languages, cultures, religions and dominated by the Javanese elite, there was always a tribe, town or island to find that had a minor or major problem with the Status Quo. Evidently, it defended the interests of the existing Upper Class in the Government and in the Army. Oddly enough, back in 1955, the US Government grumbled at the way the Dutch “Colonial Ruler” had stubbornly rejected to hand over Western Papua/ Dutch New Guinea (now Irian Jaja) to Indonesia’s then”beloved” President Sukarno. But only 3 years later, that same US Government felt the urge to support an insurgent movement against that “infamous” Sukarno! Same character, he went from ‘Hero’ to ‘Zero’ in only 3 years time! But it is correct to say that the Geo-Political situation in SE Asia had changed dramatically, China’s influence was growing at an alarming pace. ( Some pessimists might notice a parallel with the current situation). Photo above depicts the PBY-5A Catalina that was flown by the Mercenaries on behalf of the Permesta Rebels (AUREV). With no opposition in the airspace above Sulawesi, Kalimantan, and the Maluku Islands, even this slow flying Catalina was able to take part in the revolt with an active role as an observation platform. The islands of Halmahera and Morotai were invaded with an amphibious assault by the Rebel Force , in which this Catalina played an instrumental role. In 1958, CAT supplied 20 Aircraft (a PBY Catalina, 15 Douglas A-26 Invaders, and P-51 Mustangs) to a totally unknown insurgent movement PRRI/ Permesta in Northern Indonesia, led by a group of Army Officers who revolted against the Central Government in Jakarta. They had managed to conquer Mapanget AF Base near Manado on the Indonesian Ait Force (AURA), on the northernmost peninsula of the island of Sulawesi (aka Celebes) and were soon the CIA’s favorite party to help wipe out Sukarno from Power. How naive that decision actually was , would soon turn out. As happened many times before and after this “Indonesian Crisis”, CIA agents were grossly under-informed by their biased local “partners in revolt” about the real socio-political situation. The Indonesian Air Force was not in shambles, rather a slow but still threatening factor to handle, be it without Jets. Also, not all island populations were against the Central Government so, a massive uprise of most islands against Jakarta was not really imminent. Sure, it was promised in the Permesta Rebel Force Promotion folder, with tons of wishful thinking written as a lure to drag the US into this adventure. Following the same old song: “Please give us aircraft and pilots, let them do a number of air raids on the surrounding Harbours and Army camps and that will simply do the trick for an all-out popular revolt against the Dictator”. Amazingly, CIA was so eager to topple Sukarno that they desperately believed all those partly idealistic and partly false promises. We have heard that Fairy Tale so many times, yet, it simply (almost) never worked like that, not in SE Asia, not in Cuba (Bay of Pigs), Central/ South America ( Guatemala and many other countries), only once in Africa they were successful. (see my Dakota Hunter Blog JFK Mobutu DC-3 present). With the advantage of hindsight, one could say that at best the CIA’s intentions were good, the influence of the PKI ( Communist Party) on Sukarno went awry with the nationalization of Western Companies properties and a Communist takeover/revolution seemed imminent. But CIA’s preparations, execution, and choice of ‘partners” were all too often sloppy, while efficient and objective local socio-political info and feel for virtual “Situational Awareness” was non-existent or “biased” at best. Curious to know how it ended up here? Well, just read on in this Dakota Hunter Blog. Photo above. A very rare photo of a Rebel Air Force P-51D Mustang (AUREV). Stationed at Manado, the 20 aircraft donated by CIA came with pilots, mechanics, and tons of ammo, av-gas, tooling, rigs, and spare parts for keeping that fighting fleet operational, must have been quite an operation! The majority had come from Taiwan by ship via the Philippines waters to the Northern part of Sulawesi. Pilots were flown in via Clark AFB, Philippines. This same airfield came finally under attack of the Indonesian AF (AURA) and they managed to damage this Mustang and destroy the Rebel’s PBY Catalina. Enter two legendary Rogue pilots , American citizens William H. Beale Jr. and Allen L. Pope. Both ‘mercenaries’ had a long career with CAT, engaged in covert operations in Vietnam and other hot spots in Asia. In April 1958, a group of CAT pilots and mechanics arrived from Clark AFB in the nearby Philippines, in order to fly the 20 donated aircraft for the “Revolutionary Air Force” AUREV in Manado/ Sulawesi. In that same month, especially Pope was a most active raider. On April 27, he attacked in his A-26 Invader the Island of Morotai, hours before the Island was conquered by a Permesta amphibious force. That was a very bold assault, targeting the “Ambon” Islands of Halmahera and Morotai. Well chosen as on those islands the revolutionary support against Jakarta was strongest. As far as I remember from my own kid years in Borneo, Ambonese people have always had an awkward relation with the Javanese Rulers, so here they found fertile grounds for the start of their planned Eastern Indonesian Revolution. Photo above shows a row of AURI P-51D Mustangs by the mid-1950’s. Mechanics galore and time left for painting a Shark Mouth Nose Art. But with their lack of spare parts, serviceability of the Fighters was becoming a nightmare. While Pope popped up as a Mary Poppins in the Sky almost every day, it took the Indonesian AF weeks before they were able to intercept that Sting Bee who had challenged and damaged the defensive capacity of the Air Force so hard. On April 28, Pope’s friend Beale made a very remarkable attack on ‘my’ old hometown Balikpapan/ Eastern Kalimantan( aka Borneo) , where I had lived with my family until 1957. My Dad was employed by Shell that owned the largest Oil refinery in Indonesia. Beale flew in his A-26 over the Bay and bombed the Royal Dutch Shell refineries and terminal, sinking the British tanker MV San Flaviano. It must have been very clear for all Military and Political spectators that in those spectacular air raids , the CIA was at work: who else could have staged such long distance attacks with American Vintage Military Aircraft in peacetime? Shell and the UK were not amused and the US Ambassador in London had the embarrassing task to apologize for this wild Cowboy assault. Mr. Ambassador must have asked himself, “Who the Hell is this Wild Bunch?” Even the US Embassy in Jakarta secretly sent out a message of protest to the US State Department with a single question:”Could you please call your mad dogs back?”. Well, they could but did nothing! Actually, the Mad Dogs felt as free birds in the sky, with no predators around. On May 1, 1958 , while attacking the Maluku Islands, during a strafing run, Pope’s A-26 starboard engine suffered an explosion. He aborted the assault and with all of his luck, he managed to limp his aircraft home on one engine. On May 7, he strafed a Douglas C-47 and a P-51 Mustang, and while returning one day later, he destroyed a PBY Catalina and the runway of Liang AFB. On May 15, the pro-active raider was back in Business and attacked merchant ships and harbor installations, but when he returned, he found his Home/ Rebel Air Base being attacked while he was out. The Rebel’s only Catalina was smoldering in ashes and their P-51 Mustang was badly damaged. Pope’s luck was about to run out, while the Indonesian Air Force showed first signs of a resurrection after a long period of “Dolce Far niente” (Sweetly doing nothing). Photo above. In Balikpapan, Eastern Kalimantan (Borneo) was the largest oil refinery of Indonesia, owned by Shell/ BPM. April 28, 1958, the Douglas A-26 flown by Beale made a surprise attack on the Harbor facilities of the Refinery. The British Tanker San Flaviano was hit and sunk. That was not a very smart idea and the Big Machine of political pressure on CIA for stopping the Revolutionary “Wrecking Team” was about to be fired up. Photo above shows the typical show of Third World Armies in their first years of Independence. Jeep with whitewall tires is most likely about the only machine that is serviceable in this photo. The P-51 Mustangs depicted on the ground are “suspect” being`out of service´. The few that could fly were used for the “Low fly pass” show. But I noticed that phenomenon in Madagascar even still in 2008, almost 50 years after their Independence. Their Army Tanks and Transports were always “temporarily out of service”, but the whitewalls were kept in a shiny state! On May 18, Pope went out to attack the Ambon harbor again with his A-26 and he spotted an Invasion fleet of Transport ships with troops on board. He started a bombing run but was not aware of the fact that the Indonesian AF had finally managed to scramble their single operational P-51 Mustang against him. While during 4 weeks, Pope had the Northern Indonesian Airspace as his exclusive Playstation, where he could do bombing and strafing assaults at will, the Indonesian Air Force was not capable intercepting that nasty Cowboy of the Sky. But now, finally, they had it all organized (wow!) and that airborne fighter must have arrived as a total surprise for Pope and his navigator who were very busy in their cramped cockpit to plan a new bomb run. Out of the blue, the AURA Mustang jumped on their back and the Navy boats shot their AA guns. Whatever hit him first, the starboard engine of the A-26 exploded and the wing was soon engulfed in flames. They decided to bale out and in the process, Pope’s escape was hindered by the dive of his plane in agony. His leg was fractured by the tail fin but he could manage to parachute and land on a nearby small island. In the stress of the imminent capture by the soldiers, he made a capital blunder and forgot to clear his pockets. They found a flight plan of his last 8 flights, delicate documents, and his CAT ID Card! Pope’s capture with these documents immediately exposed the level of CIA support for the Permesta rebellion. For the Eisenhower Administration, it became a very embarrassing situation, in which there was no more room for denial of engagement of the USA. The CIA had to drop the total plan and support of the Rebel Force Permesta was skipped overnight, the Revolutionary Movement Permesta soldiered on until 1961 when their agony came to a bitter end. Pope was brought into a Military Court in 1960 and sentenced to Death. Amazingly, his ordeal was used as a bargaining chip in Indonesian negotiations with the United States for arms supply. In February 1962, under JFK’s Administration, US Attorney General Robert Kennedy paid President Sukarno a goodwill visit and pleaded for Pope’s release. July 2, 1962 , Pope was discreetly released and brought over to his homeland by a US Government plane. Would the CIA have learned from this “mishap”? Photo above; Allen Pope captured and recovering in a hotel. After his escape from the crippled A-26, Pope baled out but fractured his right leg, hit by the tail fin. Pope was held not in prison but under house arrest and treated very well as being an American Citizen/ Prisoner that could be traded against US Goodies. But for raising his price, in April 1960 they first court-martialed him, found him guilty of killing 17 members of Indonesia’s armed forces and six civilians and sentenced him to death. It was finally Robert Kennedy who in 1962 bailed him out in exchange for an arms deal with the Indonesian Army. If you like this story and my style of reporting, there is maybe more for you. I have written a BOOK and 50 BLOGS about Vintage Aviation, War History and fascinating Stories, as the one you can see here. Follow/ Friend me on Facebook for more episodes/ blogs to come from ” The Dakota Hunter”, see more of my Blogs and Book at dc3dakotahunter.com. Or click to view/order my book on Amazon with multiple superb 5-star reviews as you will rarely find on Amazon. Amazon’s The Dakota Hunter ordering & reviews. Christmas is coming closer, if you still try to figure out what might be a good present for your Dad, Husband, your Uncle, your Friends or yourself, well, here is a proposition that fits them all. 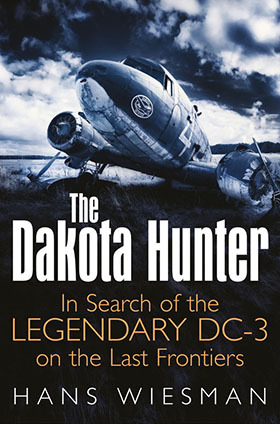 “The Dakota Hunter” is a non-fiction book, in 320 pages I engagingly describe my 20 adventurous expeditions all over the Globe in search of the legendary DC-3. Illustrated with 250 photos (never published before) of the vintage aircraft that I encountered: crashed, deceased, derelict or still flying. You will not believe that it still exists out there in the Jungle: I found the Jurassic Park of Aviation !!. Come to my website www.dc3dakotahunter.com for more details of my book and my blogs or ordering an autographed copy of my book. Post-WWII Surplus Harleys, cheap transports for “Willy and the poor Boys”.